The number of weeks before our baby girl arrives keeps shrinking (imagine that!! haha!) and I'm feeling the heat to get everything situated. The nursery is probably about 95% done and all clothes for the first few months are washed. It feels so incredibly surreal. I think because my day to day life is so wrapped up in Beau and what he needs and is doing, in some ways I'm like "OH YEAH A WHOLE NEW HUMAN BEING IS JOINING OUR FAMILY!" Haha! I'm so excited though. We loved life with Beau as a newborn and are so looking forward to our new addition. It feels like a complete dream to be able to grow our family. All of what we've dreamed of our whole lives is unfolding. Any who.. from a practical standpoint I thought it would be fun to share what "gear" is on our radar for our second child. Things we want to replace, new things we want to try, etc. :) If you have any thoughts or suggestions, please leave in the comments! Milk Snob- This is one thing that I really regret not getting for Beau. Multipurpose.. nursing cover, car seat cover, high chair and grocery cart cover.. I remember walking Beau from the car through the parking lot and wishing I had ordered a carseat cover to protect his sensitive little eyes from the bright sun. For some reason I never got it together though, haha! So this is one thing on the top of my list for Little Sister. I chose the grey and white stripe, so it can be used for Beau too, and future babies. Binxy Baby Hammock- I remember well the days of Beau's giant carseat taking up the target cart, and wedging groceries in around it, it always felt like such a circus just to get basic things. I have seen photos of people using these little baby hammocks so I was thrilled when Shop Binxy sent us one! With Beau in the stroller seat, and little sister in the hammock, I think the process will go a ton smoother. Plus, I can already predict that Beau is going to want to lean over and check on his sister constantly, guaranteeing lots of sweet photos of my two babies! I always used to say that what made me feel the most like a mom when I was settling in was going to the baby section of Target with Beau.. I'm sure that I'll feel the same way about becoming a mama of two.. and this fun hammock is going to make the whole process so much easier! I'll be sure to check back in with a full review after I've actually used it. The link above gets you 10% off! :) Thanks Binxy!!! I really considered this fancy pants doesn't need a changing cover changing pad that I keep seeing everywhere, but our dresser has a changing pad shaped hole so I think the peanut shape might look weird? Everyone swears by this product but I'm unsure.. thoughts?? Second Rumble Seat for our Vista Stroller- We absolutely LOVE our vista stroller, and I'm so excited about how easy it converts into a double stroller. New Bottles- I never really loved the Dr. Brown's bottles we used for Beau. It was what they suggested when he was in the NICU so that was fine, but they leaked like crazy. My friend uses Como Tomo and loves them so much. They are most certainly a "trendy" item but if I have a genuine testimonial, we'll go for it! Passies- We only used a passy for Beau for sleep training, but who knows what this baby's preferences will be! We'll start with just one pack, haha! Bath Seat- Another thing I wish we would have purchased when Beau was little.. I think having this will be awesome, especially with two little ducks in the tub! A Second Car Seat Mirror- I upgraded Beau's recently actually, and I discovered that not all car mirrors are created equal. Having a big, nice one has made seeing him SO much better. Kick and Play Piano Gym- This is another thing I pondered getting for Beau. For sure not a NEED, but seems really fun. Little Sister actually already got this as a Christmas present from her future bestie! Sit Me Up Floor Seat- Full disclosure Beau was a semi late independent sitter because I was a new mama who had no idea when he was big enough to work on that and didn't have a clue.. haha! For the most part I feel like I adjusted really well, but this is one area I didn't have a clue. The first time he ever tried to sit up by himself was in October and I guess I thought that was way too early to work on it so I panicked and we just kept doing tummy time. Fast forward to January and I finally was like okay let's work on this and he started sitting right away. OOPS. I share this story to hopefully help someone else who might be as clueless as I was haha!!! Anyways I think this seat will serve as excellent help for practicing. Beau got his practice sitting in a basket from our pantry, haha! Ollie Swaddle- We had such a great experience swaddling Beau when he was little so I'm really excited to test out the Ollie Swaddle. It's made of special moisture-wicking material that helps regulate baby's temperature.. which will be awesome for the hot Texas summer. You can also untie the bottom easily to do diaper changes while keeping the baby swaddled so I'm excited to try that for middle of the night feedings.. seems like eliminating the unswaddle step will be so nice. A huge plus for me too is that it seems so easy to use. My mother in law always says she struggles with swaddles so I'm happy that we'll have something super user friendly whenever little sister is with her Granny and pops! :) Use the link above for 10% off Ollie products! Lobster Highchair- My friend Polly has this and literally every time we eat out together people stop to ask her about the chair. It's SO nice and convenient!! Plus I've seen people put it on their kitchen island.. so easy! Second Sound Machine- Ben said "why don't we just stop using the sound machine for Beau and put it in the nursery?" to which I said.. NOPE!! Haha! Not ready to rock that boat quite nicely. Will Beau easily sleep without it? Yep. But I think if anything it serves as a luxury item for us in feeling like we don't need to tip toe around while he's sleeping. And when we add a crying newborn into the family, I think blocking as much sound from big brother's room as possible will be a GREAT call! My sweet friend Sarah got us this fancy one which I am SO excited to try out! So many cute things! 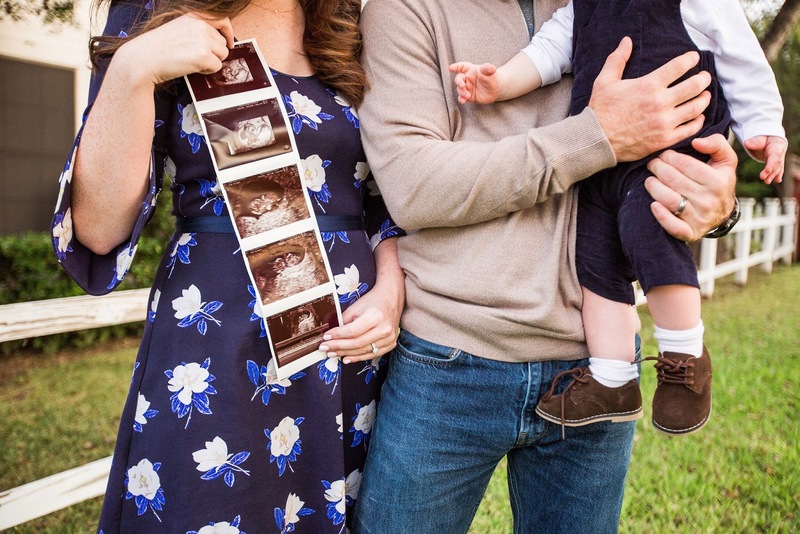 I'm a newer reader but I'm so excited for you and your family for baby #2! Girl, get that keekaroo! LIFE CHANGING!!! Oh HECK no, Ben!! I have no idea whether June would sleep without a sound machine, and I really have NO interest in finding out, ha! Sleep is pretty much the last thing I would want to jeopardize with a new baby around, and a second sound machine is a small price to pay for peace of mind. Excited to make our own list for baby number two!